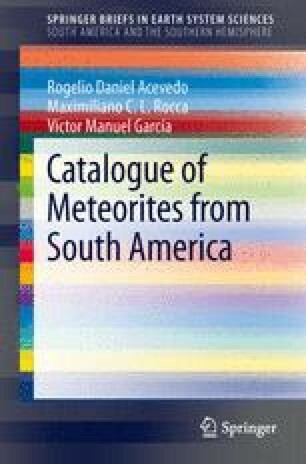 The only fall of a meteorite in this country is the case of the Villarrica (Fig. 8.1). However, there is an interesting but unverified story about a huge metallic body of celestial origin. A very large mass of meteoritic iron was reported to fall during early nineteenth century.